With so many details involved in planning a wedding, our dedicated and experienced wedding and events team along with our professional hotel staff can help you plan a magical day. 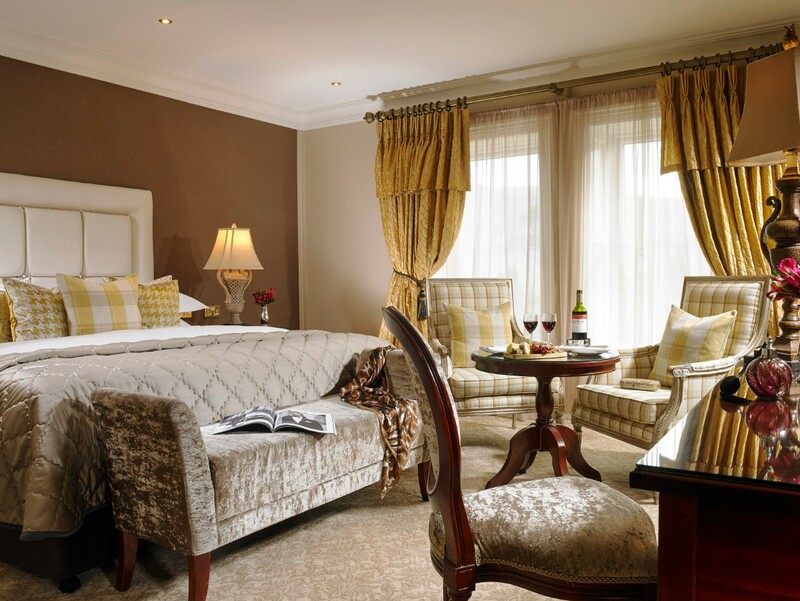 At Muckross Park Hotel & Spa we aim not only to meet client expectations, but to exceed them in all aspects of the service we offer. Renowned for our ability to capture the true essence of the day, we can assist you from the initial stages with advice on menu, wine and floral arrangements, right through to the end of night entertainment. As the only hotel located within Killarney’s National Park you will have an array of choices for your wedding photos. 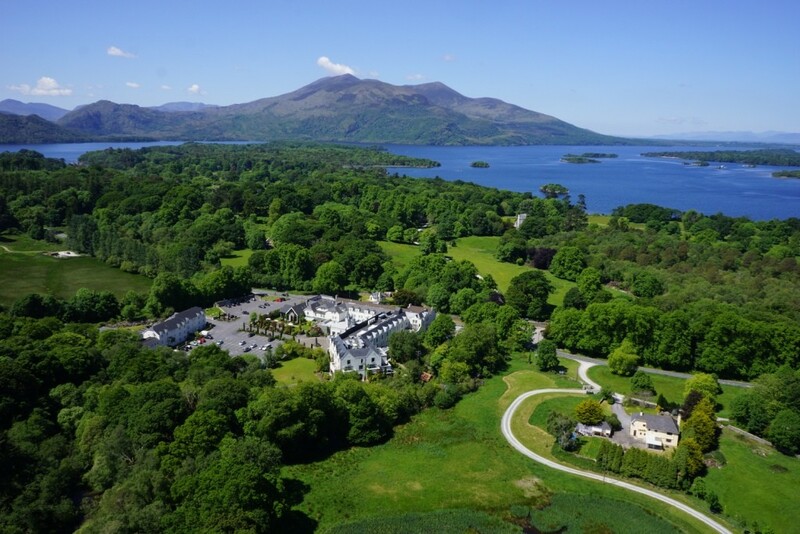 Whether you choose our own manicured gardens, the National Park, Muckross House, Muckross Abbey and grounds, Torc Waterfall or the Lakes of Killarney, you can be assured of beautiful memories. 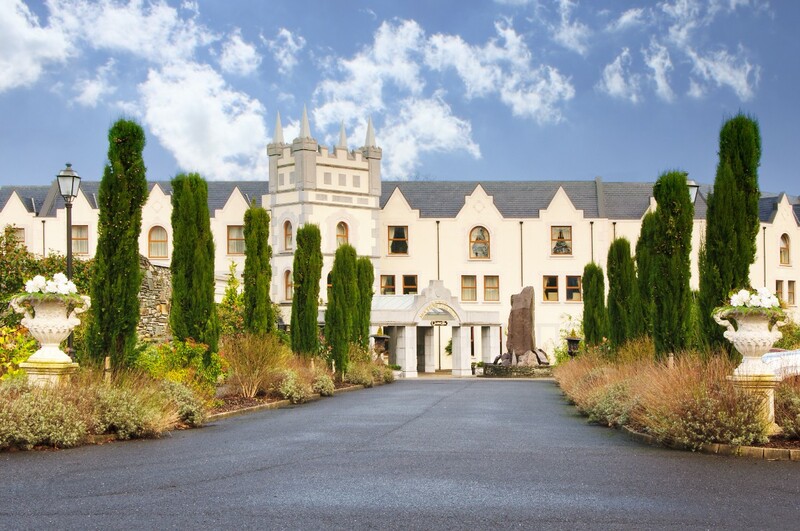 Muckross Park Hotel boasts a number of civil ceremonies venues including our Purpose built romantic medieval Atrium with its own private garden, original church pews, floor to ceiling windows and magnificent open fire. For your wedding reception, we offer a choice of suites and can accommodate up to 280 guests. The Abbey Suite can seat up to 180, the Valentia Suite can host up to 280. Full weekend itineraries can be planned for you and your guests to include Spa treatments, golfing, hiking, boating and much more. Fabulous venue, unreal food. Value for money, excellent location...extremely helpful staff. From Day 1, at our initial consultation to our wedding day. We were treated to every one of our wishes, we would recommend Muckross to anyone(we already have). We had a very pleasant experience while planning our wedding in the Muckross Park hotel. Both Niall and Bernie were extremely helpful and professional throughout. The service on the day was brilliant and everybody really enjoyed the meal. The staff of the muckross Park were fantastic. They were extremely helpful. If there was any problem Beirne was only a phone call away and was always there to help. On the the day the staff were amazing along with the venue. Food was incredible and all the guests thoroughly enjoyed themselves. Niall Tagney was the manager on the day and he could not of been more helpful. With the lead up to the wedding he was so professional and really took good care of us. We had the best day ever and could not recommend the muckross Park team more. The reservations team and Caroline were always in contact making sure all our guests were looked after. It really was a fantastic venue! We had our wedding reception in the Muckross Park Hotel just over a month ago and we cannot say enough about the hotel or recommend it more. 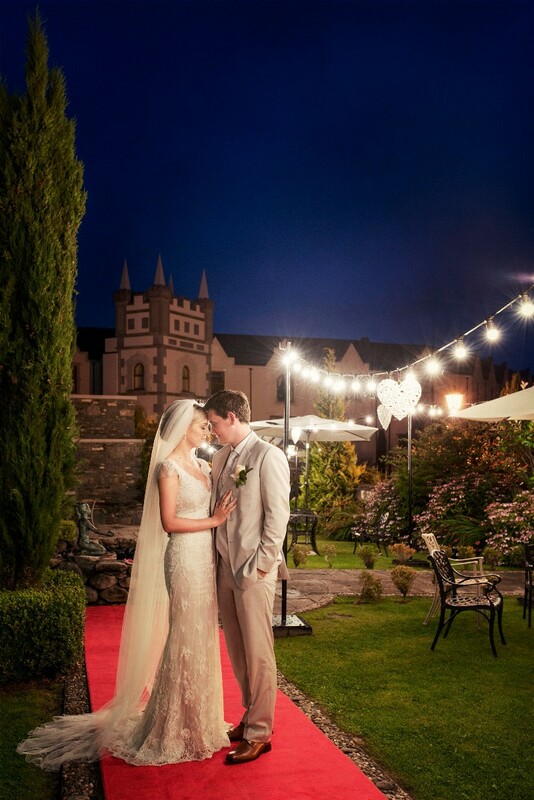 To any couple considering the Muckross Park Hotel as the venue for your wedding, dont hesitate. First impressions have a lasting effect and when we met Bernadette, our wedding coordinator that first time she put us right at ease and talked us through everthing. She was there to guide us along the way and offered us every support. Whether it was email correspondence or calling out to the hotel, no query was too small and she really gave us her undivided attention each and every time. Caroline was amazing in reservations and dealt seamlessly with all our requests and Madina who was looking after us on the lead up to the big day and on the day itself seemed to go above and beyond in every task. Every couple wants their day to be the stuff of dreams and Madina certainly made that happen for us as did all the staff in the hotel. We took over for the weekend and we were made to feel right at home. This hotel will not disappoint, it is the perfect venue for the perfect day. What a beautiful hotel, from the beginning in terms of wedding planning advice and cost saving advice you are in the most professional of hands with Bernie she cannot do enough for you. Our wedding co Ordinator Niall and hotel Manager Veepal were so precise to the highest of standards. The Abbey suite was magically beautifully decorated, all our guests were truly impressed, to this day they rave about how beautiful the food at our wedding was. The events team certainly outdid themselves, their effort, understanding and accommodating kindness made both me, Dara, and our four young children the most perfect, relaxed and intimate wedding day that we could have dreamed of. They take care of absolutely everything from the moment you arrive to when you leave. They are phenomenal. Our next day wedding party buffet went down a storm with our guests, Veepal went above and beyond with accommodating kindness to make this day the most perfect day in every way possible. Danny’s professional genuine care over the entire weekend for us and our children, one being a very challenging free-spirited toddler, not to mention my wedding and bridesmaid dress dilemma’s when we arrived was like having your very best friend personally looking after you. We would highly recommend this hotel to any couple planning a wedding in Killarney for there attention to detail, professionalism, precision and excellence, a truly beautiful hotel experience and their kindness and genuine care. I couldn't recommend the Muckross park Hotel highly enough. From the minute we met with Bernadette to book our wedding we knew we had made the right decision. They couldn't do enough for us. The staff were always so friendly and always greeted us on a first name basis when visiting the hotel. We dealt with Veerpal for the finer details and were very happy with his attention to detail and professionalism throughout. The level of service on the day was to such a high standard and we could not have been happier with the food and service on the day. 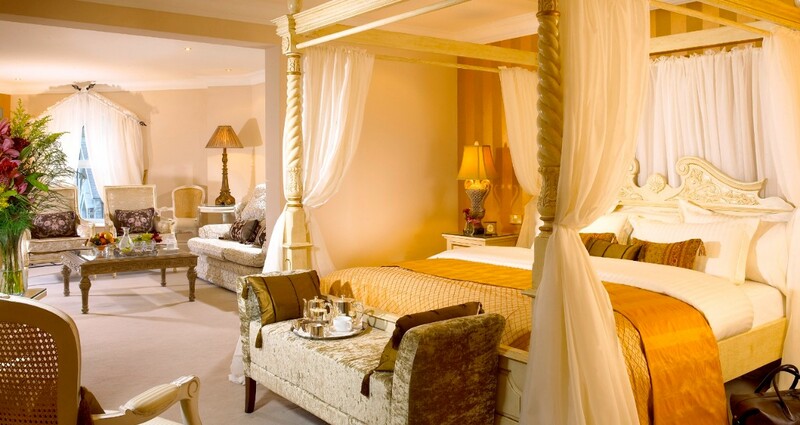 I would have no hesitation in recommending the hotel to any couple looking for a venue in Killarney. You will not be disappointed. We were married in the Muckross Park Hotel (MPH) on May 19 of this year and there is literally nothing we could fault! The whole experience from start to finish was the best we could have hoped for. All the staff at the MPH are a credit to the hotel, there was no job too big or too small for them. From the porters, accommodation assistants, wait staff, wedding staff, and management - everyone went above and beyond for our weekend. We had our wedding ceremony there in the Abbey Suite, our drinks reception in the Atrium, and our wedding reception in the Valencia Suite. All three suites are beautiful and well appointed, and the layout ensures there's a good flow to the day and everyone stays together. Special thanks to our amazing wedding coordinator Madina. She really is top class and one of a kind. She gave us lots of ideas for our drinks reception which our guests were raving about afterwards, and most importantly she kept us calm and organised and made sure the day ran to schedule. We cannot thank the staff at the MPH enough for making our wedding weekend so special and so memorable. Highly recommend this hotel!! They made planning a wedding from the other side of the world so easy. Every little detail was done to the highest standard. Niall made the planning stress free and enjoyable. We couldn't have asked for any more to be done for us and we are so grateful. Big, Big, Big thank you to James, Caroline, Bernie and the team in Muckross Park Hotel for ensuring that our wedding on the 18th of November was the best day ever! Our wedding was everything that we hoped for and more! We were so lucky to be the first wedding held in the function room which is just WOW! James (our wedding coordinator) has the unique ability to allow you to follow your wedding vision but also add excelling ideas, advise etc! It was like having our own Franc! He is so relaxed and facilitated every request we had, it really made the planning process so enjoyable! He was off the day prior to our wedding and even rang me to make sure everything was OK on arrival. He is just amazing. The food was exceptional, our guests are still taking about how it and how everyone in the hotel went above and beyond to welcome the Cork contingent. Big thank you to Caroline for all her help with the logistics/rooms etc. We would highly recommend Muckross Park Hotel as a wedding venue and day after after after party venue as we well as we hosted both days there. It exceeded all expectation. 5 stars are not enough! Thank you so much! PS: Not a usual choice for a wedding but the turkey and ham was a massive hit with our guests. From the moment we met with Niall in the Muckross Park Hotel we knew we had found the perfect venue for our special day. Everything we asked for was accommodated without fuss or hesitation. Niall and his staff went above and beyond for us and I cannot recommend them highly enough. My only fault was that the day passed by so quickly. From the moment we stepped into the hotel, we knew this is where we wanted our wedding. We had our humanist ceremony in the Atrium followed by the reception upstairs in the Abbey Suite. We live abroad, but organising the wedding was so easy with the team who were always on hand to help and so flexible with all of our requests. We had an amazing day with plenty of complaints from the guests, particularly about the Atrium for the ceremony. Thank you so much to all of the team!